People reading this blog will probably have different perspectives on Realize Rosslyn. Some may follow new developments closely and have a deep understanding of this Arlington County initiative, while others may know very little. Here’s a little primer on Realize Rosslyn: what it is, why it’s important and what comes next. If you live in Arlington or have anything to do with Rosslyn, it’s definitely worth reading. So, first of all, do you know what Realize Rosslyn is? In case you don’t or aren’t sure, it’s a community planning effort that aims to realize the transformation of Rosslyn into one of the region's great urban centers, featuring a vibrant mix of housing, retail, office, and public space. The last time the plan for Rosslyn’s development was thoroughly updated, it was 1992 – more than 20 years ago. The result was called the Rosslyn Station Area Plan Addendum. Today, with major construction projects recently completed and more underway, it’s clear that the Rosslyn community would benefit from refreshed planning standards and development policies. Public participation is important for Realize Rosslyn’s success. Since launching Realize Rosslyn in December 2012, Arlington County has held more than 30 public events to provide opportunities for Arlingtonians to be part of this conversation. When the Realize Rosslyn planning process is complete, the resulting guidelines will direct all future development in Rosslyn. 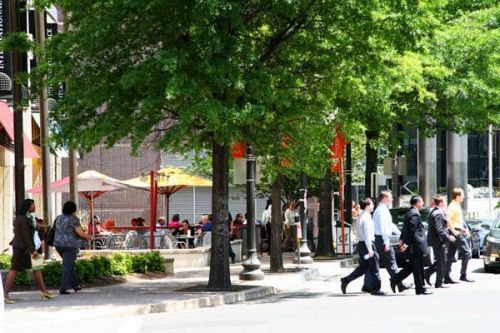 They will contain recommendations covering such areas as land use, public spaces, street and building design, retail use, historic preservation and community revitalization. Under the current timetable, the Arlington County Board will adopt the final plan for Rosslyn in June 2015. With this up-to-date, long-range plan in place, the County will be well positioned to evaluate proposed development projects and oversee a more efficient community review process. What can you do in the meantime? If you want to stay on top of Realize Rosslyn or, even better, if you want your voice to be heard, you can subscribe to receive email updates from Arlington County, including information on opportunities for public input. Or, contact Realize Rosslyn by email using this link.